I have studied Ikebana Japanese floral art for over 30 years and am a professor and teacher of Ikenobo Ikebana. 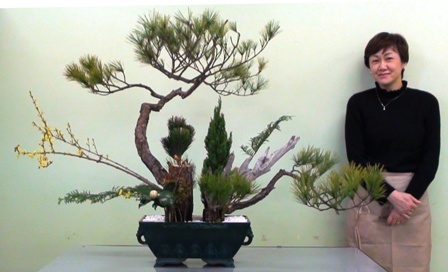 Originally from Tokyo, my passion for Ikebana started aged 15 with Sogetsu. I then switched to the traditional Ikenobo School of Ikebana and qualified as an Ikenobo instructor in 1982. I moved to the UK in 1990, met and married an Englishman and have been here ever since. In August 2002, I had the opportunity to give Ikebana demonstrations and workshops for the annual “Will Adams Festival” in Gillingham, Kent. There I met so many people who were interested in Ikebana that I was inspired to set up ‘ Ikebana by Junko’. I taught my first students in London the same year. 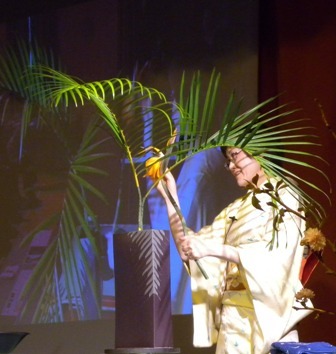 Last year, 2012, was the 10th anniversary since I started Ikebana by Junko. To celebrate with my students, we held a special exhibition in London (I’ll be posting pics soon). Several of my fellow Ikenobo professors came specially from Japan to take part in this event. 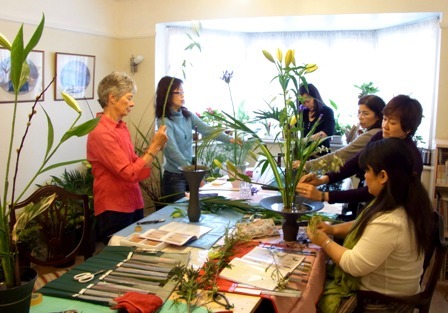 And I have participated in lots more Ikebana exhibitions, Ikebana demonstrations and Japanese cultural events, including for the Women’s Institute in Kent and created arrangements for the Japan Olympic Committee HQ during London’s 2012 Olympic Games. 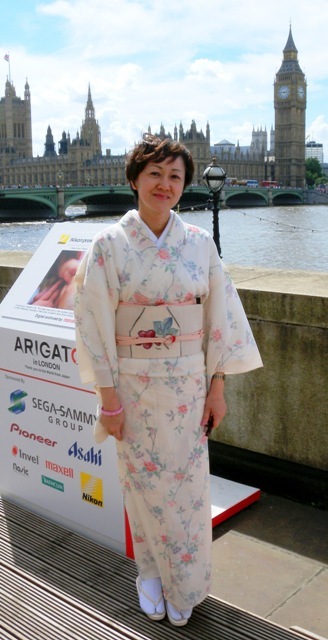 In 2010 I was honoured to be elected as President of Ikebana International London Chapter. I stepped down in 2013 but remain as Vice President and and active member. It’s a real and enduring pleasure for me to introduce people to Ikebana. 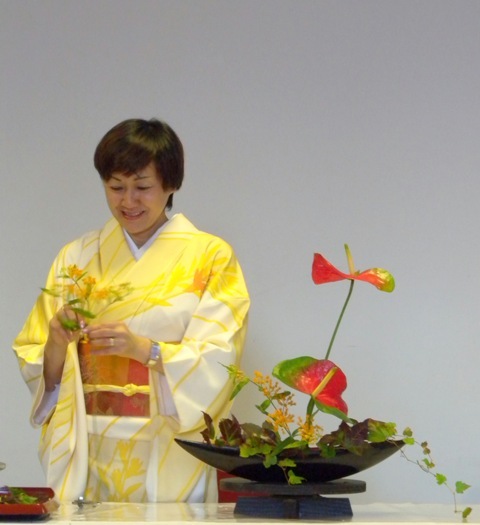 I hope through Ikebana by Junko, I can help very many people enjoy a new dimension to their flower arranging. I have now lived in London for more than 20 years, but I still regularly attend Ikebana seminars at Ikenobo headquarters at Rokkakudo Temple in Kyoto, Japan. For the past few years I have focused on studying the most ancient and traditional forms of Ikenobo Ikebana called rikka. Rikka arrangements can be very large and often take more than a day to complete. In addition to Ikebana, I have always enjoyed other traditional Japanese cultural arts including: Japanese Tea Ceremony; koto (Japanese musical instrument); and how to put on Japanese kimono. Dates 13th & 14th April 2019.